Last January I had the pleasure of sitting down to dinner with Mike Milken and his wife in New York, and it brought back some incredible memories. Mike was our third donor back in 1988 -- one of the first business people to give NFTE a vote of confidence and some much-need cash for our programs. At that time, Mike appointed a Wharton MBA to administer the University Community Outreach Program. Her name was Lisa Hoffstein and together with Mike, they administered to NFTE a generous grant to write our curriculum. After that, Lisa and I went on to develop the business camp model, having an MBA mentor each group of high schoolers, that is still used around the world today. Mike gained notoriety as the creator of junk bonds -- and was prosecuted for related crimes -- but his impact is about so much more. His philanthropic activities alone are numerous and he is perhaps most famous as the founder of the Milken Institute, a global think tank leading the way to solving today's most pressing issues. Every year they hold their Global Summit, bringing together leading influencers -- from CEOs and investors, to Policy Makers and Nobel Laureates, to award-winning scientists and philanthropists with impact -- in order to discuss policy issues and exchange ideas. A few of this year's attendees included Tony Blair, Jesse Jackson, Sean Penn, Hank Paulson. But I was most excited to learn about a genius new program announced there -- following along in the very philanthropic tradition Milken is known for! Entrepreneurship is about seeing a gap in the market, society or in the way the world works; forming a vision around a new way to step into that gap; and then stepping off a cliff with a smart plan and the blind faith that you will land safely and that the world will be better off when you do. GLG just launched an ambitious social impact program to leverage their cadre of over 375,000 experts worldwide in the nonprofit and social enterprise world. They selected 12 emerging leaders to participate in their fellowship -- each one representing unique missions and sectors. Overwhelmingly, these talented fellows represent a growing commitment to fighting social issues like poverty, terrorism, infrastructural collapse, and beyond -- through straightforward, effective means. I was lucky to learn from two of them, and share their stories here. Zack Rosenburg started his career in nonprofits and law before Hurricane Katrina drew him to New Orleans to lend a hand in the cleanup efforts. Years later, Zack found himself at the forefront of the post-Katrina efforts with his St. Bernard Project (SBP), which works to rebuild the homes and lives of disaster victims. 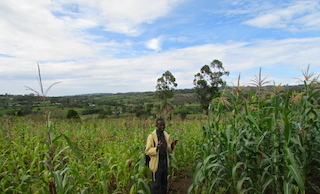 Meanwhile, Jake Harriman, another fellow, is working fighting global poverty with Nuru international. During Jake's time in the Marines fighting terrorism in Iraq, he had an epiphany: we can fight terrorism by fighting the extreme poverty that so often accompanies it. 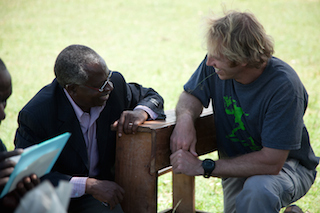 Today, Nuru is working around the world to empower people in their road to economic success. Steve Mariotti: What does entrepreneurship mean to you? Zack Rosenburg: To SBP, entrepreneurship means innovating for impact. Individuals, teams -- both large and small -- can all be entrepreneurs when they are willing to be comfortable being uncomfortable in their pursuit of increased impact. We created SBP to address a clear, immediate and compelling need: Katrina survivors needed a clear path to rebuild their homes. 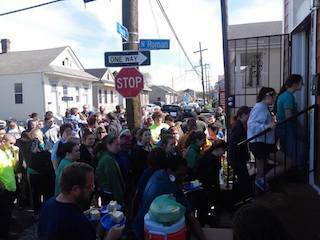 When we arrived in New Orleans, 6 months after Katrina, there was hardly any rebuilding work. 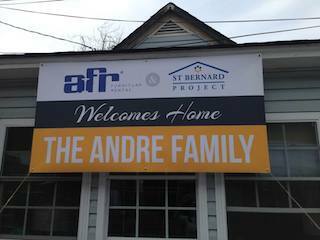 Worse, impacted families had no clue about what resources would be available to them to rebuild their homes. We launched SBP because we were unwilling to abide the lack of a prompt, efficient and predictable path to recovery. We wouldn't have wanted our families to face such a gap; we couldn't stand by while other families struggled in this abyss. SM: Through all of your experiences, what has been your greatest lesson in social entrepreneurship/impact? Jake Harriman: Extreme poverty is the greatest crisis of our time, and it is one of the most complex challenges that we as a global community face. The most difficult challenges require the smartest and most talented people -- from both within a country and from the larger global community -- to help create solutions to overcome those challenges. GLG's network of experts is different from any other resource we have access to. ZR: The greatest lesson that we have learned is the imperative to talk about problems. It is impossible to achieve greater impact doing things the same way. To get better, problems must be discussed in order for innovations to gain voice and flourish. SM: How do you plan to utilize GLG's expert network? ZR: SBP will utilize the GLG network to expand our scope of impact. With GLG experts, SBP will invest best-in-class outside expertise with what we do best - help communities prepare for and recover from disasters in a prompt, efficient and predictable manner. Specifically, we intend to utilize GLG experts to inform our creation of a revenue generating team-building/on-site volunteering program. 1. Ethiopian co-operative establishment and regulation: Farmer co-operatives are a core part of the new Nuru Ethiopia Agriculture Program, so hearing a GLG expert's insight and experience was invaluable and timely as we were trying to finalize some of the details around the legalities of Ethiopian co-operatives. 2. East African dairy supply chains and operations: Nuru Social Enterprises is launching a dairy business in southwest Kenya, and GLG's expert network will be critical in helping us to leverage lessons learned and best practices to optimize profitability more quickly in our dairy business. 3. Leadership capacity building programs: Nuru has developed an innovative new tool to measure leadership capacity building called the Leadership Sustainability Index (LSI). GLG's expert gave excellent feedback on the tool and helped us to consider a few additional inputs to enhance the tools accuracy in determining the leadership capacity in national teams we are working alongside of in all Nuru's country projects. 4. Investment Pipeline: GLG has made key introductions within their network to help Nuru expand our network of investors. We have developed an innovative philosophy, process, and curriculum that taps the potential of local leaders to solve the problem of extreme poverty within their community, region and nation. We do this through what we call a "sustainability engine". That engine is the key differentiator of the Nuru Model. We set out working in a country with a strategy for all international staff to exit within seven years. Our international staff works with local leaders to design world-class poverty-fighting solutions to address the needs of their communities. We help local leaders scale these solutions to roughly 50,000 people and then we exit the project leaving behind a completely self-contained entity led by local leaders who manage and scale the project throughout their country independent of western capital. We leverage approximately $7m of outside capital over seven years to create this self-contained entity, and then we exit. With the input of a company like GLG, its inspiring to see the beginning of what these incredible social entrepreneurs can achieve. I look forward to keeping readers up to date on their accomplishments during the fellowship.